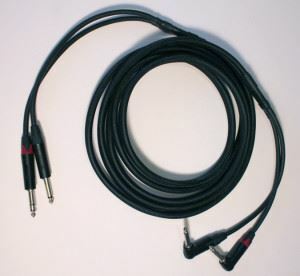 Availability: This item ships out to you from Godfrey Daniels Guitar Works. Sale price includes shipping within the continental USA. International shipping is extra. 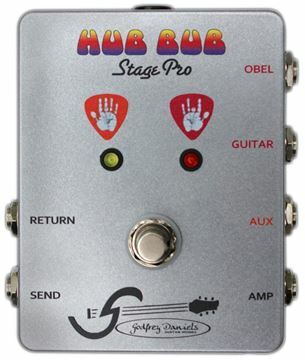 The HubBub utilizes a bundled Dual TRS/TS Cable for the guitar to HubBub connection and connects your pedal chain, amp, OBEL cable, and guitar cable in one location. No more window washer harness plus The HubBub’s hardwired split of the stereo OBEL cable to the mono Send and Return jacks, produces a cleaner, clearer and more reliable signal than the “Y” cable. Made by Godfrey Daniels Guitar Works.